What Is The Best Dog Food For a French Bulldog? The French Bulldog can be spotted a mile away with its erect bat ears and distinguishable, wrinkled face. 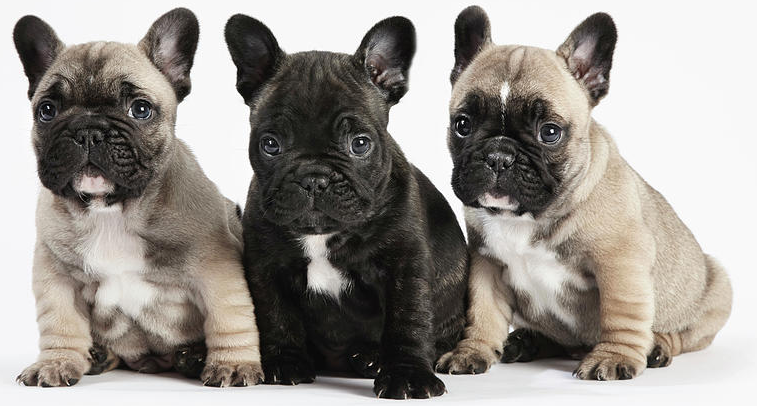 As adorable as they are adaptable, “Frenchies” are a small breed, known for being playful, fun-loving, and intelligent. As a perfect household pet, French Bulldogs are quiet, companionable, and moderately active – but still love lounging around the house. 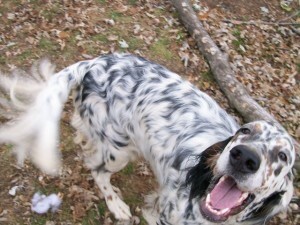 Along with moderate exercise, this breed requires a high-quality diet. To help you select the formula with the right ingredients for your dog, we’ve reviewed the top-rated, most nutritious dog foods for French Bulldogs. French Bulldogs weigh up to 28 pounds, and females usually weigh less than males. They typically stand about 11 to 13 inches tall at the withers and are are compact, muscular dogs with heavy bone. French Bulldogs are naturally lively, but their level of activity and individual metabolism will impact their diet and determine how many daily calories they need to consume. Generally, French Bulldogs eat dog food made for small or medium breeds, consuming anywhere from two to four meals per day, depending on the dog’s age and health requirements. Frenchies are a brachycephalic breed (short-nosed), which means that becoming overweight poses several health risks. Carrying extra weight can make it harder for these dogs to breathe comfortably and lead to additional health concerns. 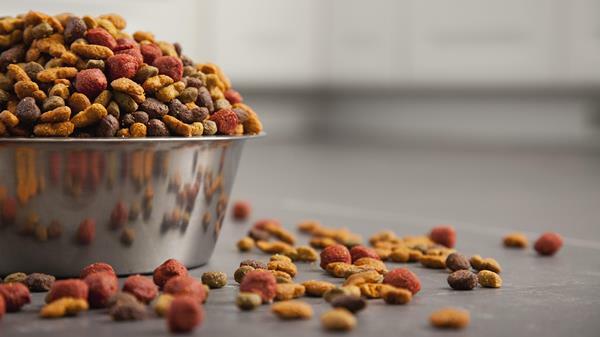 We recommend measuring how much you are feeding your dog and monitoring how much he eats instead of free feeding or leaving food out all the time. Meat Protein – Whole meat, such as chicken, beef, fish, and lamb should be included in the first several ingredients listed. Protein can also come from meat meals, a concentrated form of meat in which the moisture has been removed. 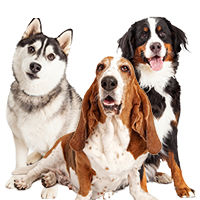 The AAFCO recommends 22 percent protein for puppies and 18 percent protein for full-grown dogs. Fat – Chicken fat, canola oil, and flaxseed are all healthy sources of fats and include additional health benefits. The AAFCO recommends eight percent fat for French Bulldog puppies and five percent fat for adults. Omega-3’s – This fatty acid helps keep a French Bulldog’s skin and coat healthy. DHA – One of the three Omega-3s is DHA, which supports brain and eye development. Carbs – To keep a French Bulldog’s blood sugar steady, the dog food should be low in carbs and may include an alternate, low-glycemic form of carbs, such as sweet potatoes. 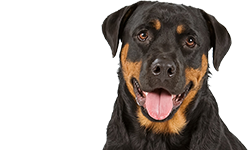 Proper Calcium to Phosphorus Ratio – Puppy foods should have a calcium to phosphorus ratio of about 1.2 parts calcium to 1 part phosphorus. 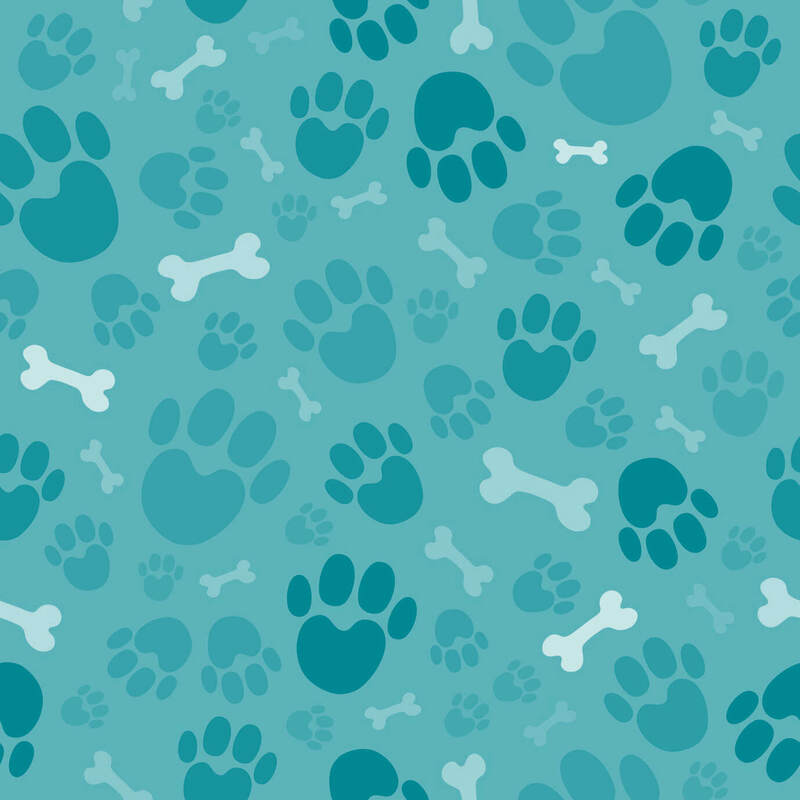 Having a deficiency or excess of calcium in your dog’s diet can lead to serious orthopedic problems, like painful bone spurs. As your French Bulldog tries new foods, you’ll start to notice whether or not the dog has allergies or sensitivities to certain ingredients. 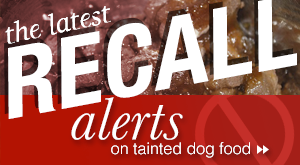 Your veterinarian can help to identify the food triggers to avoid when you are shopping for a new dog food. Below, we’ll discuss quality dog food options with alternative meat proteins, limited ingredients, and healthy, nutrient-filled formulas that will best serve your French Bulldog. While your French Bulldog is a puppy, it’s essential to find a food that will properly nourish your dog, as well as one that he or she enjoys. A young French Bulldog puppy (four to 12 months), weighing an average of 12 pounds, needs around 500 calories per day, split between three or four meals. 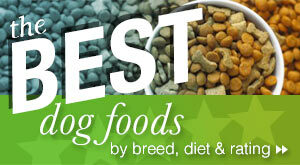 Here’s a quick look at our top choices for French Bulldog puppy food. 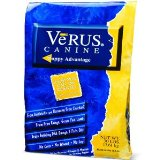 VeRUS Puppy Advantage is an easy-to-digest, holistic food for small breed puppies. The formula contains DHA for proper brain development and probiotics for digestion, as well as omega-3 fish oils, vitamins, and chelated minerals. Free of unhealthy chemicals or additives, VeRUS provides great nourishment for a growing French Bulldog. 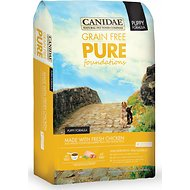 Canidae Grain Free Pure Foundations Puppy Formula is a limited ingredient food that includes probiotics to help digestion, antioxidants for a healthy immune system, and omega-3 and 6 fatty acids to support healthy skin and a beautiful coat. The recipe is especially helpful for puppies with sensitive digestion. Since this formula is nutrient-dense and higher in calories, smaller amounts of food go a long way. As your French Bulldog reaches 90 percent of his or her full growth, you will need to adjust your dog’s diet and food. According to the National Research Council of the National Academies, an active adult French Bulldog weighing 25 pounds requires an average daily caloric intake of 780 kcal, split between two meals. The following top choices for French Bulldog adult dog food range from limited ingredient formulas to natural and easy-to-digest recipes. 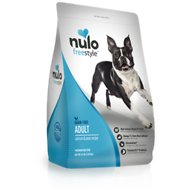 Nulo is a newer, nationally known brand with incredible benefits for French Bulldogs. 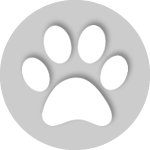 With the highest animal-based protein (80-84 percent) out of any dog food on the market, Nulo doesn’t use any poultry or meat by-products in their dog foods. This formula is free of artificial colors, flavors, and preservatives and is AAFCO-approved for maintenance. 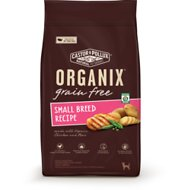 If your French Bulldog can eat grains, this formula is a great choice. It contains probiotics to help with digestion and is completely free of wheat, corn, and soy. 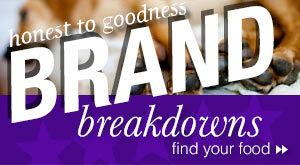 This well-respected brand is family-owned and makes their food in small batches every morning. 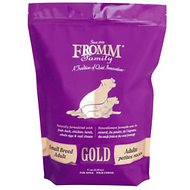 This is a great and very affordable choice for your French Bulldog if you’re on a budget. Coming in at more than 4.5 stars on Chewy.com, Taste of the Wild hits the sweet spot when it comes to quality and price. 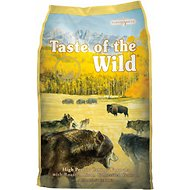 Taste of the Wild’s High Prairie dog food is USA-made and grain-free. This food is good for Frenchies with skin allergies or sensitive stomachs since it doesn’t include common allergens. This formula is one of the most natural dog foods you can find with nearly all organic ingredients. Since it’s free of grain, corn, soy, and wheat, it’s safe and easily digestible by French Bulldogs with sensitive stomachs. An aging French Bulldog will start to become less active and lose muscle strength, so it’s important to provide your pet with a protein-rich, nutritious food to keep him or her healthy. 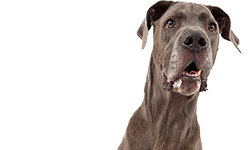 Many older dogs begin to put on pounds, but in some cases, you can simply cut back on the portion sizes or have the dog exercise more. 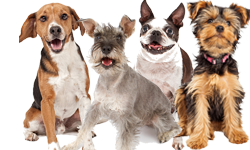 On the other hand, elderly dogs often start to have problems with metabolizing nutrients, including protein. It can become hard for them to keep a healthy muscle tone and weight as they age. 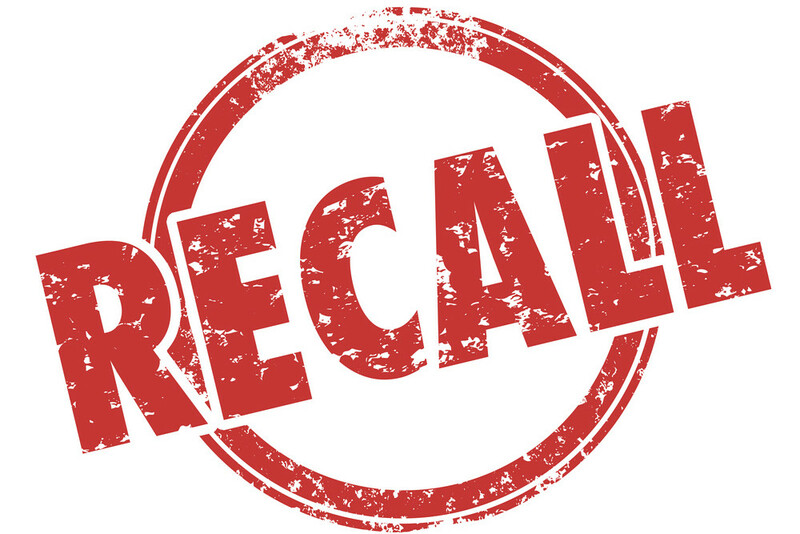 For this reason, you may wish to avoid dog foods labeled “senior.” These foods are often formulated for older dogs that have gained weight. If your French Bulldog is not overweight, we suggest looking for senior dog food that has plenty of protein. As long as your dog doesn’t have any problems with his kidneys, there is no reason to avoid higher protein levels. 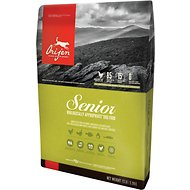 Made with 80 percent meat and fish, Orijen Senior Dog food contains quality protein, is low-glycemic, and is low-carb to help keep your older dog’s blood sugar steady. With natural sources of glucosamine and chondroitin, this food also supports joint health. With the right dog food and moderate exercise, your French Bulldog should live a happy and healthy life. Among the breed, it is common for dogs to become overweight, which may lead to other health risks. 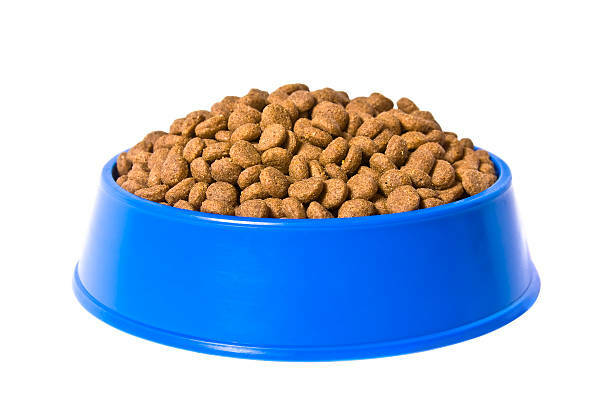 We recommend measuring how much you are feeding your dog and monitoring how much he or she is eating instead of free feeding or leaving food out all the time. If your French Bulldog has dietary or health issues, consult your veterinarian for specialty food suggestions. You can find out more information about French Bulldog health issues by visiting the website for the French Bulldog Club of America, the AKC parent club for the breed. What is the Best Dog Food for a German Shepherd?